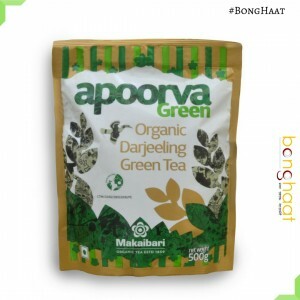 This premium Phanning Tea is known to be one of the most popular teas in India and this is sourced from Dhruba Tea Centre, Lal Bazar Kolkata. 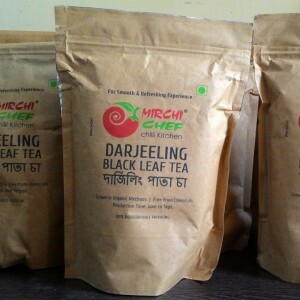 Dhruba Tea Centre is manufacturer of tea & pekoe dust since 1983 in Kolkata, West Bengal and this is a very popular tea center from Kolkata. 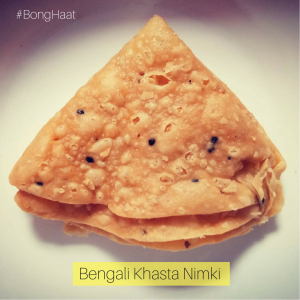 MAXHEALTH Tea is a time tested blend of strenght and aroma from soothingly rolled long Darjeeling leaf by orthodox process and Assam based large variety CTC (cut-turned-curled ) tea that would stand out as ever refreshing drink with milk or even the trendy liquor tea. 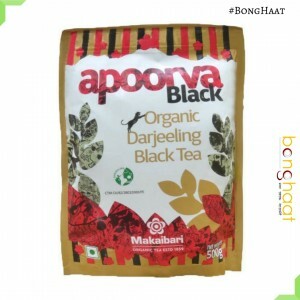 Buy fresh Makaibari Apoorva Organic Black Tea online from Bong Haat. Makaibari tea estate is known to produce the best Darjeeling teas in the world. Makaibari has the distinction of being the most expensive tea in the world.